Learn Three Sources To Channel Goodness Today. Read This Blog. Niche social networks are designed to optimize membership and engagement of their target audience (or vertical market.) They may be smaller in comparison to Facebook, Twitter, GooglePlus, LinkedIn, FourSquare and Pinterest however participation radiates outstanding levels of passion. This is the first in a four-part series of reports showcasing features, benefits and in some cases the limitations of a few of the social media enterprises that are part of an interesting spectrum beyond the big players. These are great listening posts to capture consumer insights of populations driven by specific interests. It takes strategy to succeed among niche audiences but with the right product their potential can produce interesting qualitative and quantitative results. Wiser.org – start connecting with like-minded people. The team at Wiser describes their niche network as a global village for people who believe in a more just and sustainable world. The network, which currently has over 70,000 members and growing, recently celebrated their fifth anniversary. It offers members the chance to meet and connect with people working towards sustainability. 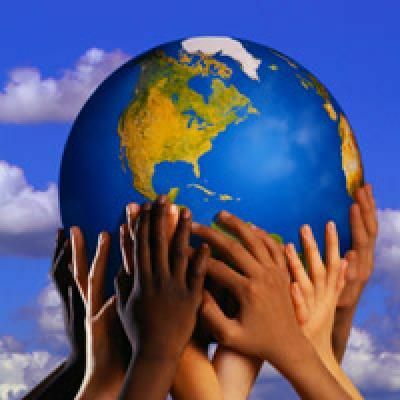 Cross-connectivity for those in social justice, indigenous rights, and environmental stewardship is Wiser.org ‘s offer. The site is available in 9 languages. 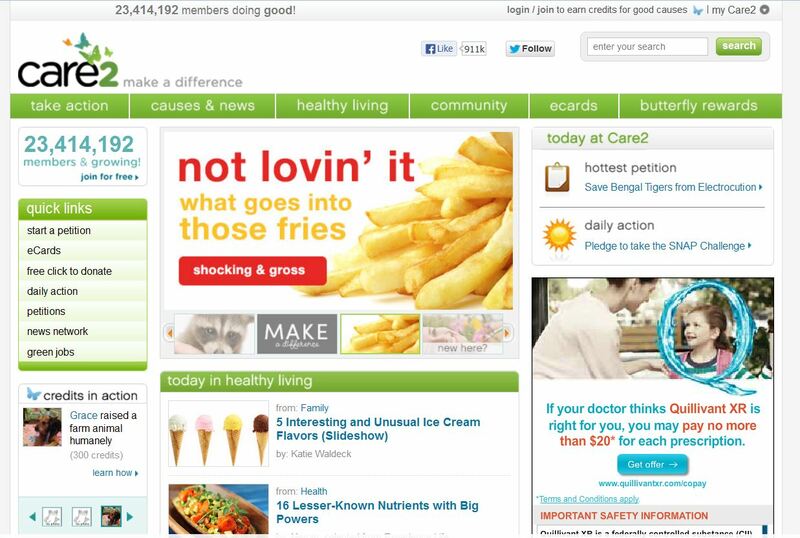 Care2 is a “dot com” and its tagline is “make a difference.” Their platform is designed to help the users achieve that. The network includes a motivated community, driven by more than 19 million members who are passionate about a number of causes like animal welfare, the arts, peace, politics, etc. Members can connect with others who share their interests, swap stories, send e-cards and more. 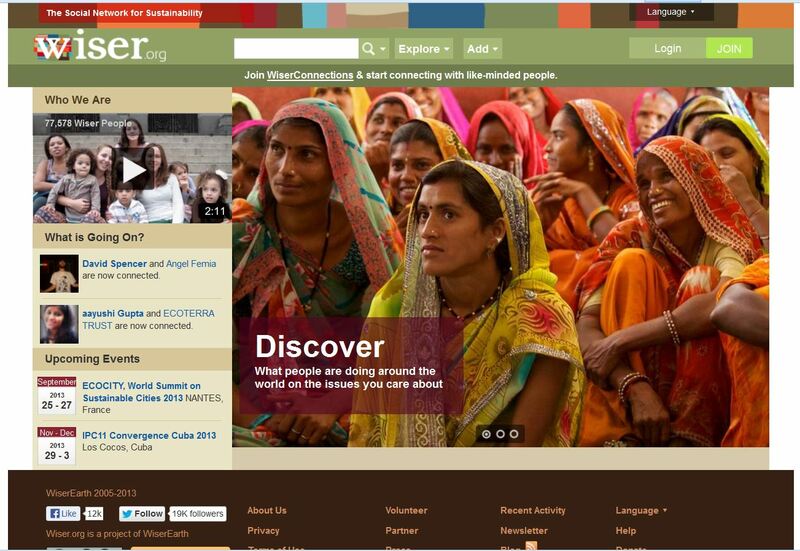 A clean design which matches users with the causes of their interest and pro-bono volunteer opportunities to match them. Butterfly rewards is Care2’s gamified loyalty e-fundraising brand. For folks driven by health, peace and balance Care2 is a good choice as well. 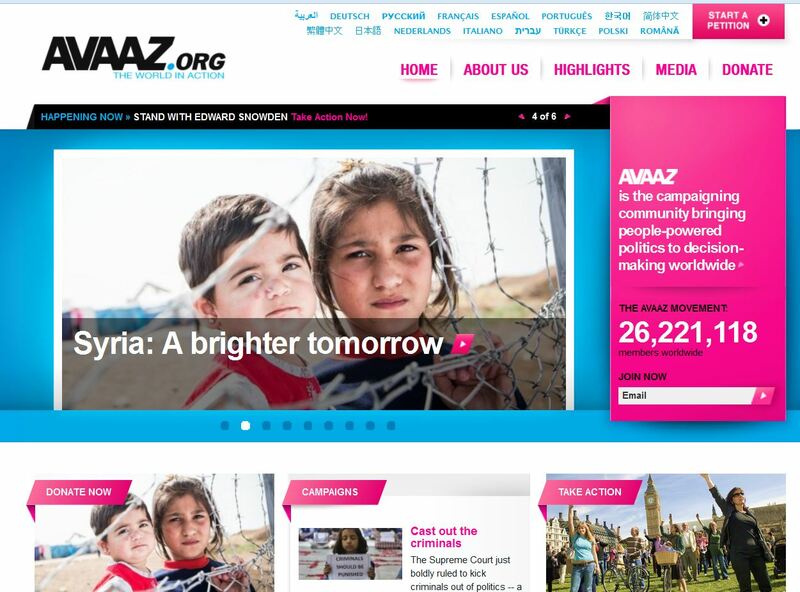 Avaaz.org – The World in Action! Avaaz is a powerhouse with an accurate slogan “The World in Action.” They bank on ethic and global interdependence to serve their purpose. Avaaz is an incubator and portal for efforts to change injustice in every continent. It is available in 16 languages. Members can get involved in all sorts of causes at different levels, from email to crossing over onto “big league” social media. Avaaz empowers millions of people from all walks of life to take action on pressing global, regional and national issues, from corruption and poverty to conflict and climate change. Their model of internet organizing allows thousands of individual efforts, to be rapidly combined into a powerful collective force for social good. Non-profit communicators, corporate giving professionals, and just about everyone: it is worth taking time to consider the positive ripple effect that accurate communications can produce for non-profit causes through the use of these niche networks. 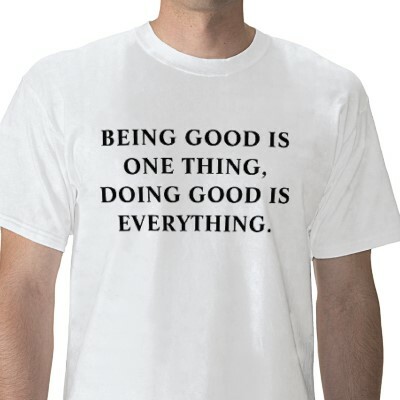 Are you ready to do some good? One good deed every day. We can do it!